You can take a screenshot on your Mac to capture what's on the display. 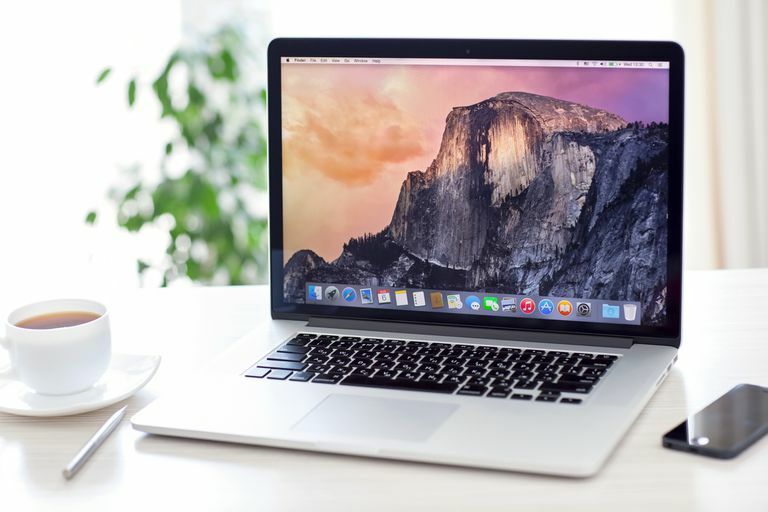 Screenshotting your Mac's screen is easy and can be helpful for a number of reasons, from documenting an error to quickly sharing something you see. Once you've made the screengrab or screenshot, you can email it with any email program you have installed on your computer. Simply attach the captured image as a file attachment in the message. Taking a screenshot of your entire screen and capturing everything that's currently visible on it is as easy as striking a few keys on your keyboard. Go to the desktop to locate the PNG screenshot. It's named Screen Shot with a date and time appended. If you don't want to email the screenshot as a PNG file but rather in another format, such as a JPG or TIFF, you can put the screenshot through a free image converter tool. Open your email program and attach the screenshot to the email. If you know exactly what part of the screen you want to include in the screenshot, you can take the screengrab of a limited area to exclude the parts of the image you don't need. Press Command+Shift+4, which changes the cursor to a crosshair. Click and drag the crosshair over the whole area you want to include in the screenshot. As you do this, a box forms to show what your screenshot will include. You can release the keys when you see the crosshair appear. Release the cursor, and the screenshot of the area you selected will save to your desktop. Pressing Esc at any time during the screengrab will abort the whole process and not save the image to your computer. Making screenshots perfect is hard to do. You might even find that you'll have to import the screenshot into an image editor to do some fine-tuning. Look closely at the crosshair as you make the selection box to see the height and width in pixels. To make a perfect square, for example, you want these two numbers to be the same. To screenshot a particular window without worrying about pixels at all, press Space right after you see the crosshair appear. Then, just click the window you want to screenshot, and the image that saves will include only that window. Press Space before you finish making the selection box to allow the box to be moved. That way, you can get the dimensions you want, but then you can move the box to the specific place where you want the screenshot to be taken. If you hold down Shift before finishing the selection box, you can also move the screenshot, but it will be restricted to moving horizontally only. You can take a timed screenshot in Mojave if you want the screenshot to take place a few seconds from now. Perhaps what you want to screenshot can only be activated with the same keystroke for a screenshot (in other words, activating a regular screenshot would interrupt the action). You can do a timed screenshot through Command+Shift+5: click Options when you see it, and then choose a timer option. For High Sierra and older versions of Mac, open Grab and go to Capture > Timed Screen, and then click Start Timer.